Five US airlines are vying for an expected four slots at Tokyo’s Haneda Airport. The field has been closed to American carriers since Narita International Airport opened in 1978. Included are American, Continental, Delta, and United – the country’s four largest carriers – as well as Hawaiian, a regional airline based in Honolulu, Hawaii. Located 30 minutes from downtown Tokyo, Haneda Airport is the world’s five busiest field. With three terminals, it serves as Tokyo’s domestic airport. Nearly all international traffic operates out of Narita. Air China, All Nippon Airways, Asiana Airlines, China Eastern Airlines, Japan Airlines, Korean Air, and Shanghai Airlines currently offer international charter flights from the field. Destinations include Beijing, Hong Kong, Seoul, and Shanghai. Following the recent signing of an open skies agreement between the United States and Japan, the United States Transportation Department is expected to award four slots to US carriers at Haneda Airport. American Airlines is asking for two slots. It would like to fly to Haneda from New York’s John F. Kennedy International Aiport and LAX in Los Angeles. The airline currently flies to Narita nonstop once a day from Chicago, Los Angeles, and New York. It flies twice daily from its main hub at Dallas/Ft Worth. “We have long wanted to fly from New York and Los Angeles to Haneda, the closest airport to downtown Tokyo,” says Will Ris, American’s senior vice president for government affairs. 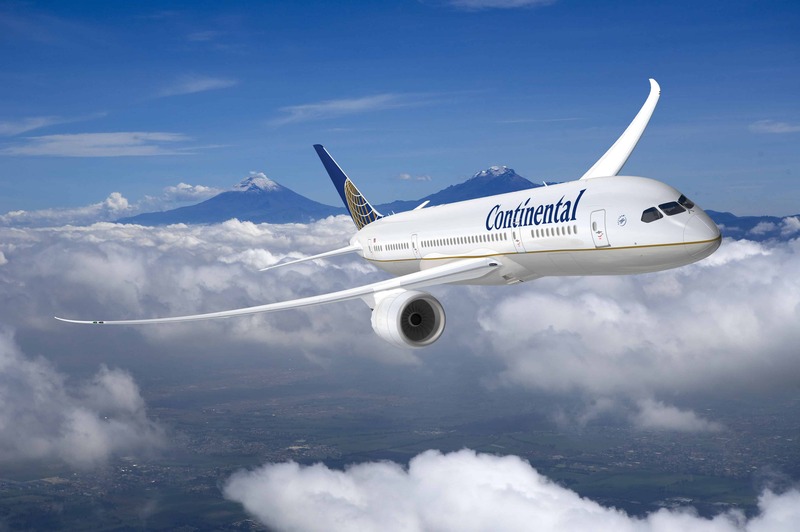 Continental Airlines and its wholly owned subsidiary, Continental Micronesia, have applied jointly for two slots. They would like to link the Japanese capital with Contiental’s hub in Newark, New Jersey, which is near New York City, and Continental Micronesia’s hub in the US territory of Guam. They already have flights from Newark, Houston, and Guam to Narita. “Continental again congratulates Secretary of State Clinton and Secretary of Transportation LaHood on securing rights for additional competitive U.S. airline service to Japan,” says Jeff Smisek, Continental’s chairman, president and chief executive officer. Delta already has a hub at Narita, which it acquired when it merged with Northwest Airlines a few years back. It is asking for all four slots, hoping to link Detroit, Honolulu, Los Angeles, and Seattle with the Japanese capital’s other airport. It already has flights linking 11 US cities with Narita. “Enabling Delta to enter Haneda is critical to advancing airline competition in Tokyo, particularly considering the strong presence that the Star and oneworld alliance carriers already enjoy at this important and tightly controlled airport,” says Glen Hauenstein, Delta executive vice president of network and revenue management. United Airlines is asking for only one slot. It wants to link San Francisco, its key hub on the West Coast, with Haneda. “Air travelers in San Francisco and the entire Bay Area enthusiastically welcome United Airlines’ plan to add service from SFO to Tokyo’s downtown airport,” says Gavin Newsom, mayor of the city and county of San Francisco. Hawaiian has an extensive inter-island network. In addition to linking the islands with several cities on the US mainland, it has international routes connecting the 50th State with American Samoa, Australia, the Philippines, and Tahiti. It would like to operate two flights linking Honolulu with Tokyo. Japan is the state’s largest source of visitors after the continental United States. “This new service combining the convenience of Haneda with Hawaiian Airlines’ award winning service would offer a new, superior travel product that will increase travel to Hawaii from Japan,” says Mark Dunkerley, the airline’s president and CEO. The US Transportation Department is expected to announce which airlines will receive the slots later this year. The new service could begin as early as this fall.